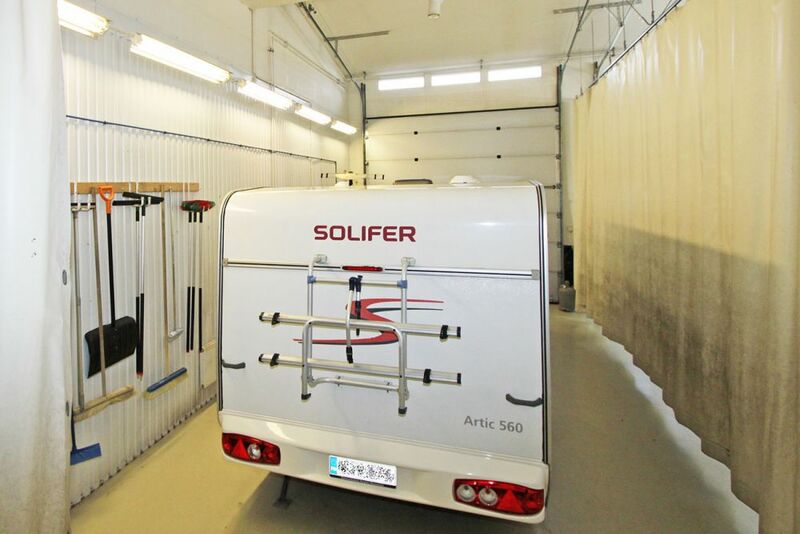 A well serviced motorhome or caravan is a carefree travel companion. 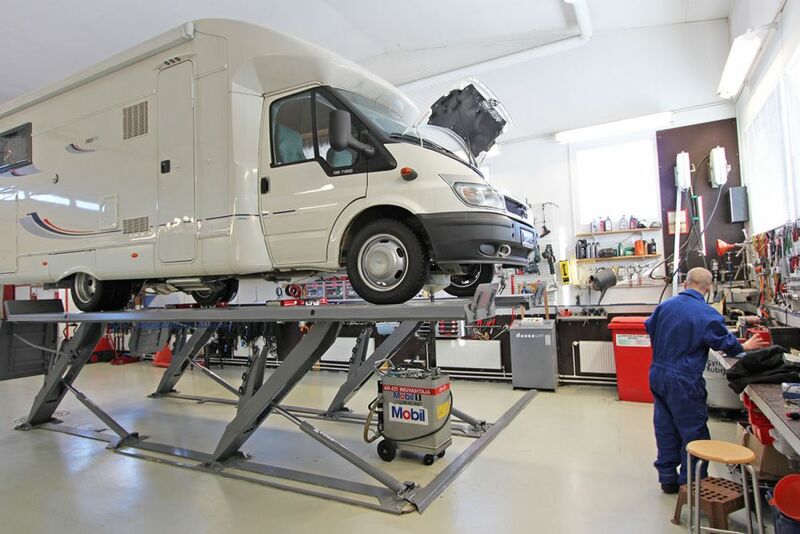 Our service department operates in modern facilities and we are able to offer a full range of work on your caravan/motorhome. Our service equipment and personnel are always up to date. We offer for example oil change, washing, fixing, odour removal, etc. We service, repair and deliver all parts for every brand. We are insurance company approved accident repair service. 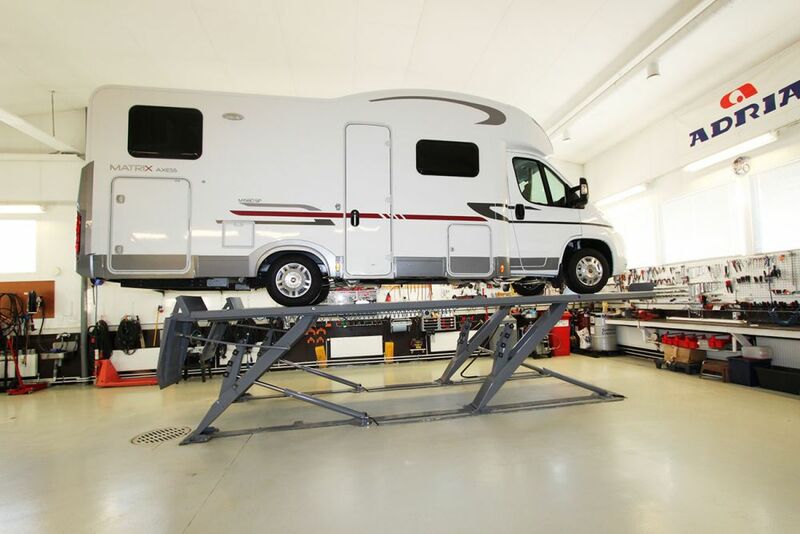 When needed, we can offer a replacement for the motorhome or caravan for a longer period. Accident and damp repair require professionals. When repaired wrongly they usually cause more damage. So it is best to leave them to professionals like us. Our service department has experienced professionals and our after-sales marketing is done with years of experience. Bring your motorhome or caravan to our professionals! Remember to book early to avoid disappointment! Open monday to Friday 8-17. Saturdays when agreed. If you wish to buy a motorhome or caravan we can arrange a suitable time for you. Monday to Friday 8-17, Saturdays 10-15. If you wish to buy a motorhome or caravan we can arrange a suitable time for you.